I am going to talk about the National Theatre Live screening of Tony Kushner’s ANGELS IN AMERICA with Nathan Lane and Andrew Garfield, and two new plays at CTG theaters, HEISENBERG and KING OF THE YEES. But, to be completely honest, I’m having trouble moving on from the death of Sam Shepard. Silly, I know. I mean, I already wrote about my one extended encounter with him, so what more is there to say? Sam had a great run – 44 plays written, all the honors in the world (10 OBIE awards! ), 68 film and TV roles, 27 screenplay credits, 32 credits for “himself” – that is, for playing Sam Shepard. Remarkable. Of course, to be honest, Sam hadn’t written anything great since A LIE OF THE MIND and PARIS, TEXAS, both in 1984-85. His 20 years of amazing creativity began in 1964 with Cowboy and The Rock Garden, and it included such gems (which you should definitely check out, if you don’t know them) as The Geography of a Horse Dreamer, The Unseen Hand, and Seduced – his odd but ingenious play about Howard Hughes, whose effectiveness depends on who’s playing Hughes. I was lucky enough to see Rip Torn, and I’ll never forget it. The thing with Sam is, he never sold out. Some of his acting roles aren’t great – his dad afflicted with periodic spells of blindess in 1994’s Safe Passage is definitely not going in the time capsule – but even there, he never embarrassed himself, and he rarely if ever seemed to do anything just for the money. He was flat-out great as both Chuck Yeagar in The Right Stuff and as Major-General “Bill” Garrison in Black Hawk Down. He was the best thing in the film of August Osage County, though his role should have been larger. But if you really want to see a mind-blowing performance, check out Sam in 2012’s Mud as a fat, balding retired U.S. military sniper. It’s not just that he’s unrecognizable, but his character is very real, and so different from anything else he’s ever done. It’s hard to be as gifted as Sam was, and to become as famous as Sam did, and still hold on to your honor, your humility and your soul. 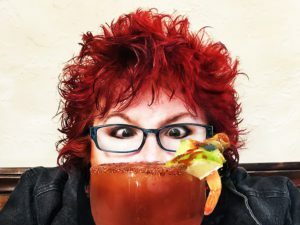 So here’s to Sam: you put up a battle with your demons that we can all be proud of. Sleep well, my friend. In my 2004 theater memoir, Best Revenge, I wrote, “As tremendous as Tony Kushner’s achievement was [in Angels in America], its “universality” may have been largely a product of being in the right place at the right time. It will endure as dramatic literature, not drama.” Wrong. So wrong. After viewing the eight hours of Angels on successive Thursdays in the National Theatre Live production, I can only say “Wow. What a writer. And what an epic! How universal!” It really is one of the great American plays, which does things and goes places that no other writer has done or gone. It has the largeness of spirit of Walt Whitman (the main character is “Prior Walter”) with the analytic genius of George Orwell and the sheer theatricality of Brecht at his greatest and, well, Tony Kushner at his greatest too. What a vision! 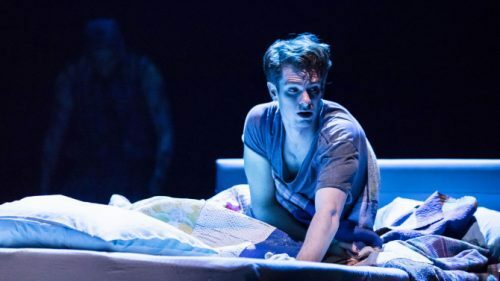 This production is directed by Marianne Elliott (The Curious Incident of the Dog in the Nighttime) and features Andrew Garfield as Prior Walter, Nathan Lane as Roy Cohn, Denise Gough as Harper Pitt, Russell Tovey as Joseph Pitt, Susan Brown as Hannah Pitt, James McArdle as Louis, Nathan Stewart-Jarrett as Belize and Amanda Lawrence as the Angel. All excellent actors, worthy of mention. The major curiosity, of course, surrounds the two best-known actors, Garfield and Lane. How were they? Now I saw both the original Broadway cast and their replacement cast, as well as the Mike Nichols film, so I have some basis of comparison. Andrew Garfield is very good, but I’ll still take Stephen Spinella, who originated Prior Walter on Broadway. Garfield has more charisma and style than Spinella, but Spinella had more gravitas, a more matter-of-fact sense of hurt. Spinella anchored the show in the reality of his gayness, the richness of his emotional pain. Garfield just doesn’t have that. As for Nathan Lane — sorry, but no. He’s a great actor, one of our greatest, but he’s not right for this role; in fact he couldn’t be more wrong. Physically, he suggests J. Edgar Hoover, not Cohn. Lane’s great gift is to humanize his characters, to show us the clown crying on the inside, and that doesn’t work here. Giving Roy Cohn a soul – wrong! That’s not how Kushner wrote him. Ron Liebman was the greatest Cohn I’ve seen, seething with rage at the injustice of his fate. But Pacino was also great. Neither of them gave Roy Cohn the gooey center that Nathan Lane does, and it simply doesn’t work. For me, this production was stolen by McArdle and Tovey, who are both endlessly fascinating as Louis the temp and as Joe Pitt, the Mormon lawyer he works for. Both are much better than the other actors I’ve seen take on those roles. Stewart-Jarrett comes alive in Perestroika, the second half of the show, but he can’t hold a candle to Jeffrey Wright in the original Broadway cast. (I doubt anyone ever will.) Gough is fine as Harper, the pill-popping wife of the gay lawyer, but both Marcia Gay Harden on Broadway and Mary Louise Parker in the Nichols’ film were better. I loved Susan Brown’s work as Hannah, the gay lawyer’s mother, she’s gruff at first, but then reveals her inner sexiness in a way I don’t recall seeing before. Still, better than Meryl Streep or Kathleen Chalfant? Not really possible. On the whole, the production didn’t shake up the world the way that Wolfe’s did. But the real star is and always will be Kushner, who has written an American masterpiece about the way we dream. My only caveate – and I have to say it – is that ending, in which Prior Walter becomes Tony Kushner and “blesses” the audience as “fabulous.” Sorry but that feels patronizing. Just stay inside your character, Tony, and let him speak for himself. No need to pat yourself on the back when everyone else already wants to. That said, go and see an encore showing of this video version – essential viewing for anyone with a brain. This is an enigmatic little play which belongs in a small theater not as large a space as the Mark Taper. The Taper seems to realize this, and they seat audience on both sides of a skinny slice of stage space, trying to create as intimate a playing area as they can. Personally I was sitting in the 5th row, and the magic didn’t quite touch me. (A friend of mine told me she sat in the third row, and she was swept away, so maybe that’s the key.) I admired the eccentricity of Mary Louise Parker’s performance as a 40 year old woman who begins the play by kissing the back of the neck of a 77 year old stranger in a bus station, an event that in real life might instigate many things, but significant dialogue is not one of them. I was deeply aware throughout of the unlikelihood of this scenario, this sequence of events, though that seemed to be what the playwright, Simon Stephens (The Curious Case of the Dog in the Nighttime, Punk Rock), is going for. “How far can I push these highly unlikely events? How long can I sustain this highly ridiculous premise?” The actors, Mary Louise Parker and Dennis Arndt, are both deeply focused and committed, though I kept wondering why Parker didn’t have a British accent? In the play she speaks again and again about how she comes from Islington in London, but Parker makes no attempt to change the speaking voice that we are so accustomed to from Weeds and so many other shows; and Arndt’s character never mentions this, so I simply don’t get it. Nevertheless, there is something engaging, even moving, in the way that Stephens stretches out his slight and unlikely premise into a full-length play. The play after all is titled Heisenberg, the scientist who is known for giving us The Uncertainty Principle in Quantum Physics. Simon Stephens captures here both the uncertainty of the human condition and the uncertainty of ever really connecting with another human being. It’s only around until August 6th, so go this weekend if you can. Just sit in the first 3 rows, okay?